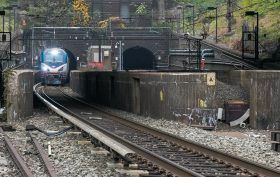 Back in January, Amtrak unveiled its $24B Gateway Program, a plan that would overhaul the Hudson River rail tunnels by building a brand new tunnel and repairing another that is currently in disrepair. 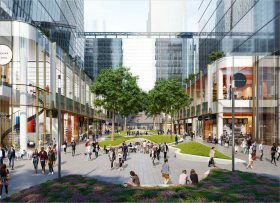 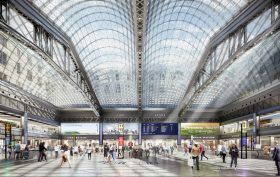 Work under the plan would also encompass expanding Pennsylvania Station in Manhattan and replacing rail bridges in New Jersey. 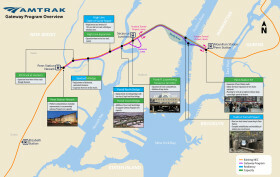 While details on the course of construction were previously thin, according to draft proposals obtained by Reuters, we now know that work on the new tunnel will begin in 2019, and the West Side Highway could be subject to three years of traffic jams as a result. 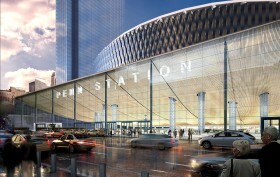 In a presentation (pdf) Tuesday at the Association for a Better New York, Governor Andrew Cuomo announced that plans for transforming a revamped Penn Station-Moynihan Train Hall complex into a “world-class 21st century transportation hub” were back on track and ready to roll, complete with a slew of new renderings and the selection of a developer-builder team including the Related Companies, Vornado, and Skanska AB, to redevelop the Farley Building.